MG2 - VR Pharma Zone is a Virtual Reality experience targeted at trade shows and events. 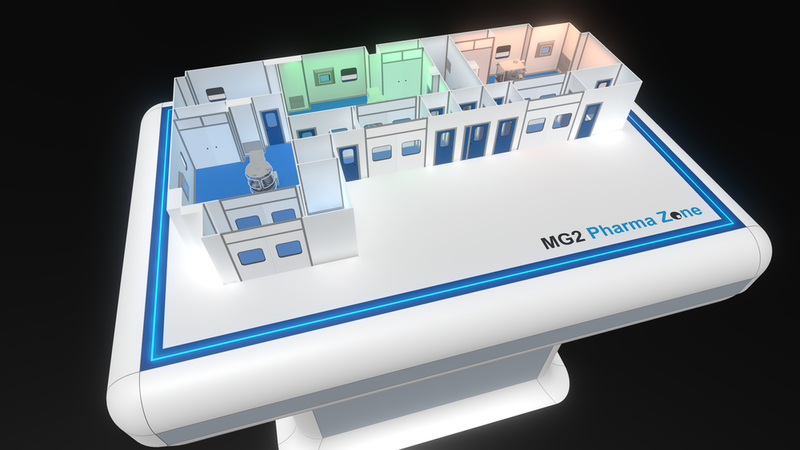 The simulation allows the user to live in first person a reproduction of MG2 Pharma Zone labs, with a fully functional room and production automatic machines. As frequently happens for businesses tightly connected with physical things, bringing real value to trade shows and fairs can be really difficult or nearly impossible. Our client wanted to introduce potential customers to their Pharma Zone laboratory, a whole area with all the systems in place and working. To solve this problem, we have built a Virtual Reality experience which allows people to visit and test the functionality of our customer’s lab even from distant places. 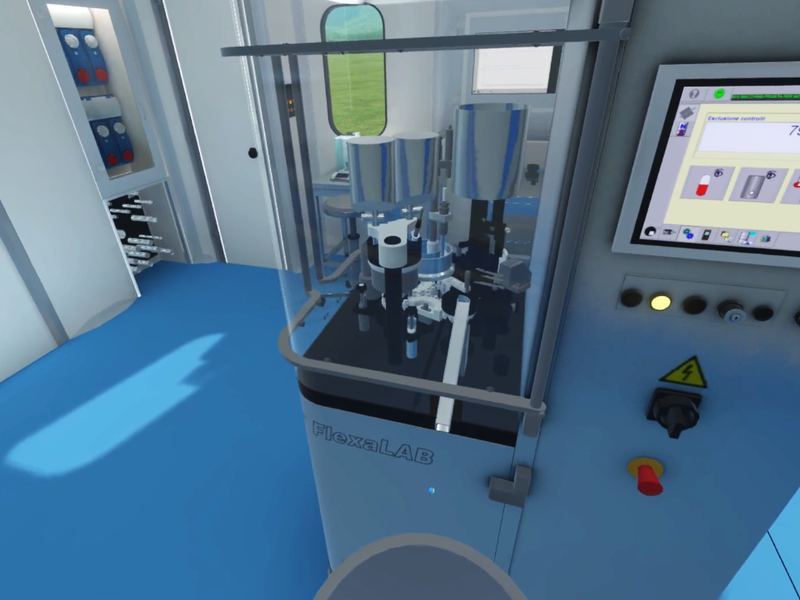 In this experience, the user can freely move inside one room of the Pharma Zone, as well as interact with one of the most important customer’s machine.